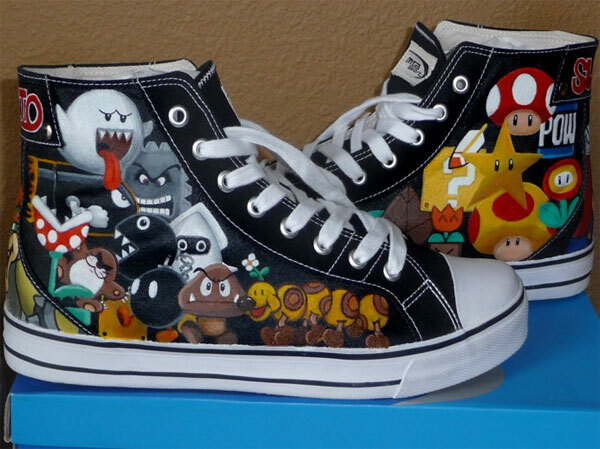 Check out these awesome Super Mario Bros. high-top sneakers! Each one is precisely handpainted by Rachelle Williams of ParadoxArtistry, and covered with imagery of all of your favorite Super Mario characters. 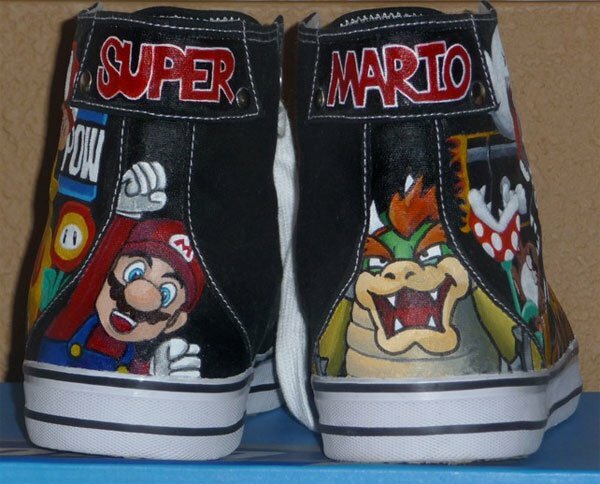 The left shoe is covered with goodies like the question mark block, a “POW” box, 1-up and other mushrooms and of course, Mario himself. 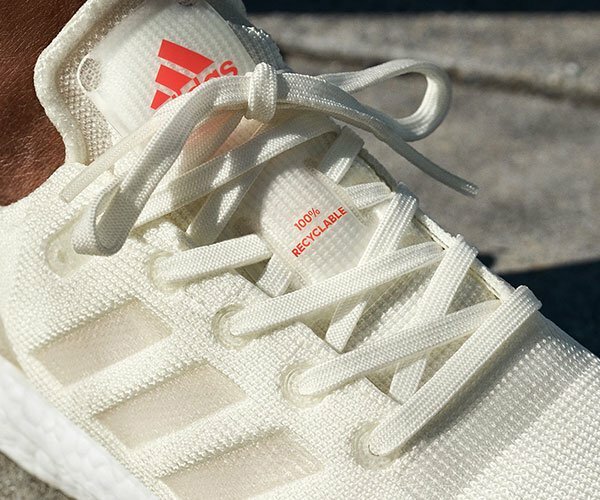 On the right shoe, you’ll find all the baddies – Goomba, Chain Chomp, Bob-omb, Piranha Plant and Boo, among others. At $160 smackeroos a pair, they’re not cheap, but think about how much two original paintings and a pair of high-tops would cost you and then it doesn’t seem that bad. While the pair shown above is a Men’s size 11, Rachelle will happily make you a pair in any size. Check out her complete selection of handmade video game goodies over at ParadoxArtistry’s Etsy shop.